24 February 2019, KUCHING: Executive College (EC) will hold a free quantity surveying (QS) hands- on workshop during the open day at its Crown Square campus here on March 30. 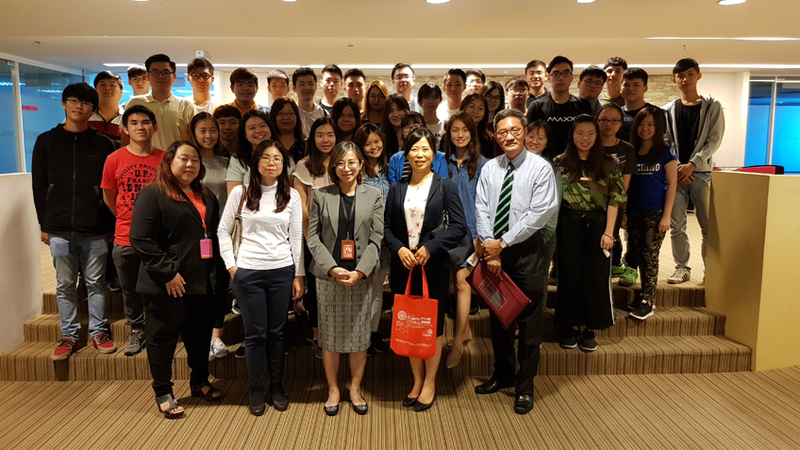 The college’s QS students recently attended a briefing on the latest development in the industry by surveyors from the Royal Institution of Surveyors Malaysia ( RISM) Sarawak Sharlene Toh, Bong Siak Khiun, and Chin Wee Li. Toh explained the roles, responsibilities, and two- tier registration procedure for quantity surveyors in Malaysia, as well the institution’s roles. Bong discussed the importance of soft skills such as effective communication among fresh graduates entering the industry, in addition to acquiring knowledge in word processing, spreadsheet, presentation, and measurement software such as CostX and Buildsoft. Chin shared on payment issues in the industry affecting the public sector, Construction Industry Payment and Adjudication Act 2012, roles of the Asian International Arbitration Centre (AIAC), and the updated clauses in the Malaysian Institute of Architects ( PAM) Contract 2018. A press release said EC keeps in close contact with professionals in the industry so that students can also be updated with the latest development. EC’s Diploma in Quantity Surveying is a three-year programme, the only one of its kind in Kuching, which is high in demand as quantity surveying is one of the highest paid jobs in Malaysia. Besides the Diploma in Quantity Surveying, the college also offers Foundation in Arts, Diploma in Business Administration, Bachelor of Business Administration ( Hons), and Bachelor of Technology (Hons) in Construction Management. All the courses are all accredited and recognised by the Ministry of Higher Education (MoHE) and the Malaysian Qualifications Agency ( MQA). For more information, visit EC at second floor, Crown Square, 88 Jalan Pending, 93450 Kuching on weekdays from 8am to 5pm, or go to www.ecollege.edu. my, or call 082- 345680.